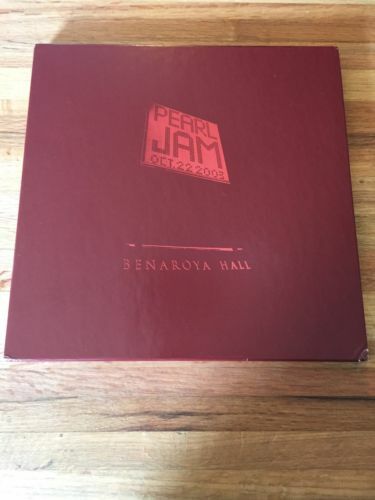 As much as I hate to part with it, my Pearl Jam Benaroya Hall 4 LP set needs to move on. Minor shelf damage on corners and the spine is splitting slightly. Media has never been played. See photos for damage detail. Free shipping.